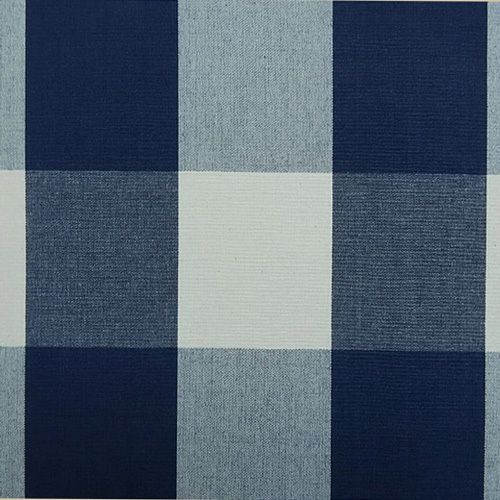 Golding Sylva Navy buffalo check fabric by P Kaufmann. Large navy blue and ivory gingham buffalo checks. Suitable for drapery, decorative pillow covers, headboards crafting or other home decorating projects.